5 Ways to Reduce Your Venues Environmental Impact. Have you ever thought about how much our day-to-day activities impact the environment? In a busy hospitality environment, this impact is multiplied tenfold – but it doesn’t have to be! 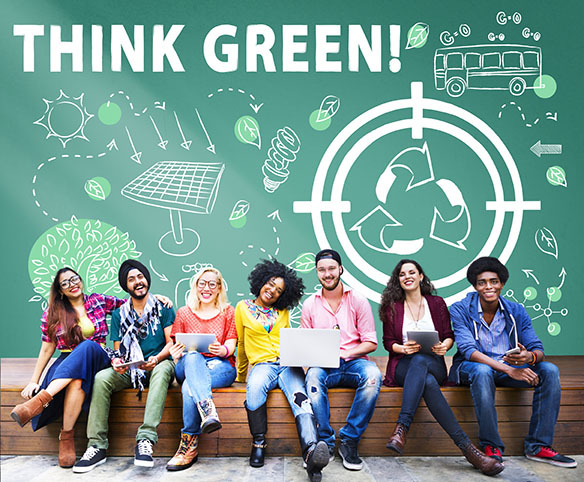 By following these five steps you’ll be able to minimise your businesses carbon footprint, while also teaching your staff to embrace a greener, more sustainable lifestyle. When left to decompose in rubbish tips where recyclable waste isn’t handled in the way it should be, it can generate leachate that seeps into the soil and finds its way into our waterways, contaminating our natural environment. Without recycling, we’re also shortening the lifespan of materials that could be recycled and re-purposed into useable products. All you need to do is separate your waste into standard rubbish, recyclable waste and food waste. Then, you can dispose of each type of waste in the appropriate manner, ensuring it ends up in the right place with minimal environmental impact. Much like when recycling ends up in a standard tip, food waste can be harmful to the environment when it’s left to breakdown with normal rubbish. This is why composting is such a great initiative! Not only will that composted waste save you money on your landscaping by acting as a natural fertiliser, it will also work in your favour, as consumers love supporting businesses that incorporate green initiatives into their operations. If you want another handy use for all of that organic fertiliser you’ve been composting, why not plant your own on-site garden or vegetable patch. Customers will be drawn to the idea of freshly grown produce that’s sourced from the property, making the menu eye-catching, while harvesting your own fruit and vegetables will not only reduce your carbon footprint in terms of shipping produce around, you’ll also be able to create a circular produce supply. Your vegetables are grown with the food waste collected in the restaurant, and then the vegetables are harvested for use in the restaurant, before the food waste is used to assist with re-planting. Gardens can also be an eye-catching design feature, especially if you add some fairy lights, a few alfresco tables and chuck a scarecrow in the veggie patch for an extra pop of personality. Just sourcing your ingredients and supplies from a local company can make a world of difference. When you get stock delivered from interstate or overseas locations, your goods are coming at an extra cost to your back pocket, as well as the environment as carbon emissions increase exponentially during the shipping process. Shopping locally also comes with the added benefit of knowing exactly where your goods are coming from. This might come at a cost to begin with, but in the long-term, it has the potential to save you a significant amount of money on power. You can now switch your energy usage to alternative sources like wind power and solar power. You don’t have to do a 100 per cent switch; you can just do it partially to begin with to ensure your power needs are still met. For an even bigger impact, why not incorporate some of these practices at home too! The more people who commit to greener, environmentally-friendly lifestyles, the better! Consumers love the idea of green living. Even if it’s not something they practice themselves, it’s still a trendy notion that people enjoy supporting. So if you do make the switch to more eco-friendly operations, make sure you market it in your promotional activities and also within the restaurant itself. Even something simple like having your POS machine print a little message at the bottom of customer receipts (using recycled paper, of course) will be enough to let your customers know that by supporting you, they’re also supporting a healthier, stronger environment!